hough it may still be a struggle to find fine South American wine on the wine list of a top restaurant in London, informed wine enthusiasts and professionals know how the growing reputation of this continents’ s wines, especially Argentina and Chile, is fully deserved. From the finer estates, age-worthy wines can hold their head up high amid Old World competition. Whilst Cabernet Sauvignon from Chile can still disappoint, except from the best estate , its Malbecs, Merlots and Carmeneres are breaking out of their cheap-and-cheerful, fruit-forward, early drinking reputation. Syrah is the new high altitude wonder varietal in Chile whilst Malbec from Argentina and increasingly Chardonnay continue to impress. Some impressive premium wines have emerged, suggesting real potential. There is some way to go before either country can compete in absolute quality terms with either Australia or California but new wines and producers are continuing to surface. 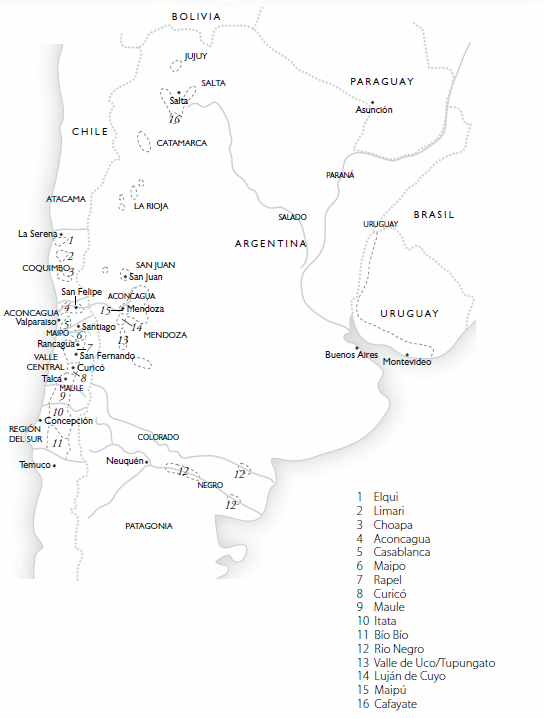 The only other countries with potential for fine wine are Brazil and Uruguay. Some decent wines are emerging from the far south of Brazil, while Tannat is widely planted in Uruguay but as yet there are only a handful of reasonable examples.